Wed., Feb. 8, 2017, 9:26 p.m.
PEBBLE BEACH, Calif. – Ryder Cup captain Jim Furyk is tweaking the U.S. points system to put more value on winning PGA Tour events than high finishes in the majors. Furyk also said Wednesday the last of his four captain’s picks would be made after the BMW Championship in 2018, instead of a last-minute decision after the Tour Championship before the Americans leave for Paris. The next Ryder Cup is in France, where the Americans will try to win back-to-back for the first time since 1993. 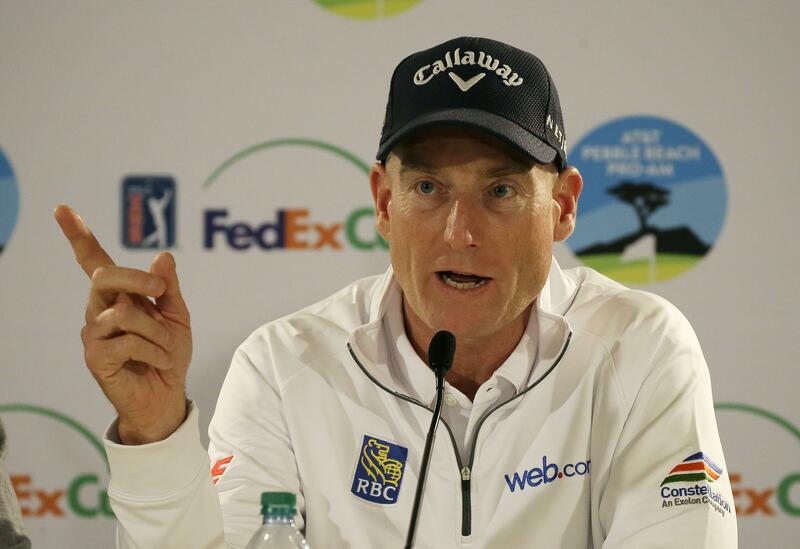 The U.S. system will stay largely the same because Furyk said it worked well in a victory at Hazeltine last year. The change is how points are distributed in the majors during the Ryder Cup year. One point will be awarded for every $1,000 earned at the 2017 majors and World Golf Championships, and all PGA Tour events (except opposite-field events) and WGCs in 2018. That’s how it was for the 2016 teams. For the 2018 majors, points will be double for only the winner. Everyone else will get 1 1/2 points for every $1,000. Furyk said because the purses at majors are so high – at least $10 million, with the U.S. Open going to $12 million this year – that means they effective have prize money of $20 million or more. He had an outside chance to earn a spot, or at least get serious consideration for a captain’s pick, in 2016 even though wrist surgery kept him from starting his season until May. But because of a three-way tie for second in the U.S. Open, he shot up the U.S. standings. Furyk said eight automatic qualifiers would be decided after the 2018 PGA Championship at Bellerive, just like last time. Three of his four captain’s picks will be after the second playoff event at the TPC Boston. The change is that his final pick will be after the third playoff event, the BMW Championship at Aronimink. Last year, Ryan Moore was given the final pick after losing in a playoff to Rory McIlroy at the Tour Championship. Moore went 2-1-0 in his Ryder Cup debut, and his victory over Lee Westwood in singles gave the Americans the clinching point to win the Ryder Cup. He said it still gives him a chance to identify a hot player, if there is one, but that the extra week will allow players to get into team mode at the Tour Championship instead of competing for the last pick. The Ryder Cup will be Sept. 28-30, 2018, at Le Golf National outside Paris. Published: Feb. 8, 2017, 9:26 p.m.